Friday Help Desk: How Do I Enable Radius Search? Once a week on Friday’s, I’m going to take one (or some) of your most pressing questions about IDX, web analytics, landing pages (and the like), and answer them right here on the blog. 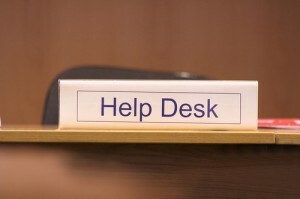 Let’s call this the Friday Help Desk Series (that sounds good). If you want to be featured next week, drop a comment on our Facebook Page or if you want to remain anonymous, email me: [email protected] with “Help Desk” as the subject line. No question is to big, or too small. So hit me with it! Radius Search and Custom Polygon Links are two new features that we enabled in dsSearchAgent v3.3 released earlier this week. You’ll want to repeat this of course for any custom links that you create if you want to enable Radius Search on those custom links/maps as well. Now, as for the custom polygon links… Just to be clear, this feature is accessible to you in order to create a search around a specific area like say around specific tracts, neighborhoods, water-front properties, et cetera. This was intended to provide you with an easier way to create custom links around very specific borders and parameters. Consumers however, won’t be able to draw, create and search by polygons on the front-end. On the right-hand side, there’s a little icon to “create a new link” – click on that. New Features on the Best Home Search Site in Nashville! Have you introduced the new features to your site visitors in any way? What do you think so far? But really, it’s a big feature add-on and we’re evaluation two things: 1.) it’s usefulness, and 2.) how best and most efficiently to implement it. My pleasure, happy to help! I remember you send me a Tweet yesterday, does this answer your question(s)?